I am a New York-based photographer shooting mostly cityscapes. When I’m out capturing the city and all its greatness, I like to make sure I have the right equipment with me for every possible moment. In a city with so much going on at all times, I want to be prepared for everything but also easily get around. 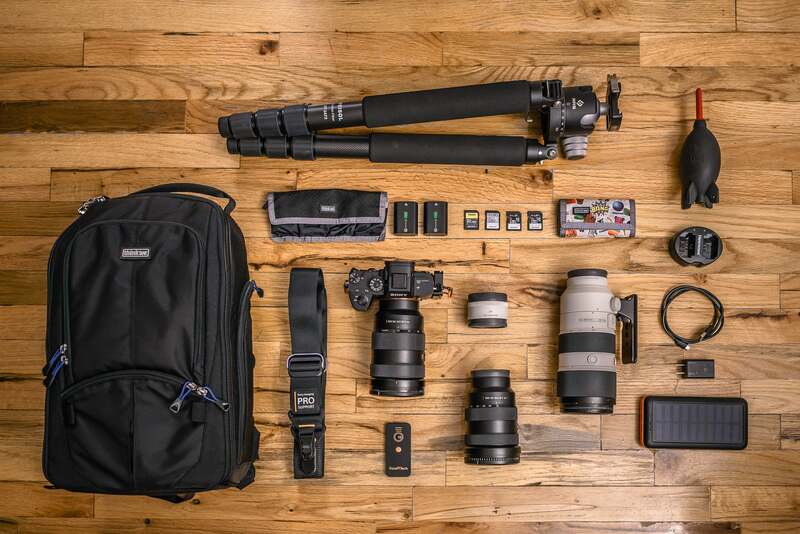 I usually carry my full-frame Sony α7R III body, three-to-four Sony G Master zoom lenses and an extender, a tripod and a variety of accessories. So let’s talk about what gear I carry with me when I’m out photographing the beauty of the Big Apple. The Alpha Collective's Marco DeGennaro (@marcodegennarophotos) shows why this selection of Sony full-frame gear is so good for capturing iconic cityscapes. Sony α7R III: This is my workhorse and go-to camera. What can I say other than she’s a beast. 42.4 megapixel sensor, 15 stops of dynamic range, enhanced 5-axis IBIS (in body image stabilization), 399-point phase detection auto-focus, hi-res viewfinder, and the list goes on. These features, especially the resolution, dynamic range and AF system, allow me to get out in the city and capture its beauty and all of the rich details with ease and reliability. I always carry the "holy trinity" of the Sony G-Master Lenses. This zoom lens trio consists of some of the best lenses in Sony's native mirrorless lens lineup and with them, I have coverage from 16mm to 400mm (with the 2X tele-extender). All three of these G Masters are fast, f/2.8 lenses and they are super sharp. Between my α7R III's 42 megapixel resolution and the sharpness of these lenses, I can capture detail at a level that brings the cityscapes alive. Sony 16-35mm f/2.8 G-Master: When I am looking to capture the vastness that is NYC, this is my lens that I reach for. The wide range and corner-to-corner sharpness of this lens are just what the doctor ordered. I also love that it has little to no distortion that most wide angles suffer from. Sony 24-70mm f/2.8 G-Master: This is the lens that I find on my camera the majority of the time. The versatility of this lens allows me not to miss a shot. Precise focus, sharpness and picture quality are what I count on from this baby. This is the one lens I would not leave home without. Sony 70-200mm f/2.8 G-Master: When I am looking for reach, compression or just want to get those fine details this is my tool. Stability and Sharpness is never an issue with this bad boy and I always love digging into my bag for it. Here you can see how well it brings out the detail in this black and white shot of the Statue of Liberty and buildings in Lower Manhattan. 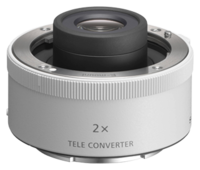 Sony 2x Teleconverter: I have been surprised lately by how much I find myself using this. It’s perfect for when I need that extra reach on my 70-200mm. What I love most about this is that I don’t sacrifice any optical performance or auto focus speed and precision – with just about 2 stops of light loss which for me isn’t a game changer. I used the 2x teleconverter to get beautiful shot of the Statue of Liberty at night. Sony SD Cards: I use the great G series cards for their speed and dependability and I recently have added the Sony TOUGH SD card for its durability. These cards match well with my α7R III and keep up with its 10fps continuous shooting. Sony NP-FZ100 Batteries: Due to the amazing battery life and power management of the α7R III, I rarely find the need to switch one out. But, as they say in the Boy Scouts, I want to “be prepared” and I always carry two extra charged batteries with me just in case. Newmowa Dual USB Charger, USB Cable and plug: I love this dual charger because not only can I charge two batteries at once, I can charge them from a USB port which allows me to charge almost anywhere. Foto&Tech Wireless Remote Control: I use this to trigger my camera minimizing camera shake. Highly recommended for tripod shooting. I love that this is a simple two button remote and it works flawlessly. Really Right Stuff BH-55 Ball head and LCF-101 Replacement foot for 70-200mm G-Master: The best feature of this ball head is the quality of it and its ease of use. Strength, durability and quick adjusting ability makes this my choice. I also replaced the foot of my 70-200mm G-Master with their leg for more stability and ease of attaching to ball head. Feisol Elite CT-3472 Tripod: Can you say light?! This baby is so light, but it is also very sturdy and extremely stable. It makes carrying around this bad boy all day bearable. Kirk L-Bracket: An L-Bracket is a must have for tripod shooting. I always have this attached to the camera body. It allows for easy transition from portrait to landscape shooting. I particularly like this one because it doesn’t block the battery door. Giottos Large Rocket Air Blaster: I am a big fan of the large blower because it creates a stronger blast to make sure I get all the dust off my lenses and sensor. Peak Design Slide Strap (Sony Pro Support Version): I love the ability to quickly remove the strap from the camera while I have it on a tripod or if it’s extremely windy to help prevent shake. I also am a big fan of the quick adjuster for those speedy adjustments. Think Tank Streetwalker Camera Bag, Battery Holder and SD Card Holder: I have been through many bags from different manufacturers and this bag is the one that holds all I need it to and still be comfortable and light enough to carry around for hours. I also love their holders to keep my spare batteries and SD Cards safe and sound. External USB Charger: I always carry an external charger to be able to charge my phone or any other USB devices in a pinch. Marco DeGennaro is a member of the Sony Alpha Imaging Collective. Follow all of their adventures on Instagram https://www.instagram.com/marcodegennarophotos.